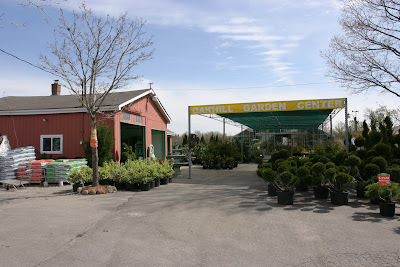 Oak Hill Garden Center was founded in 1999 by Anthony and Nick D'Orazio. We are a family owned and operated business serving communities in Richmond Hill, Oak Ridges, Thornhill, King City, Stouffville, Aurora, Newmarket, Markham Ontario and York Region. We inventory a wide selection of garden and landscape material and accessories including trees, shrubs, annuals, perennials, flowers, vegetables, seeds, fertilizers, soils, mulch, gravel, screening, river rock, stone and much more. We specialize in providing our clients with effective advice, expert garden & landscape consultation & experienced design and installation services to meet any budget. We carry and deliver directly to you an extensive selection of trees, shrubs, annuals and perennials that are more mature and of higher quality then you will find at any big box or grocery store. We back up our quality with our exclusive 1-3 year warranty and installation programs designed to assure your investment for the long-term. Our on-site services include tree & shrub planting, patio-walkway excavation, aggregate installation and dirt & snow removal.